Supercross star Ken Roczen thought he might never race again after horrific back-to-back crashes. As he makes an improbable return, one question lingers: Does he have the speed to win? A version of this story appears in ESPN The Magazine's December/January issue. Subscribe today! As the first drops of a three-day rain begin transforming the dirt at Michigan's RedBud Motocross facility into thick, gray slop, fans form a line outside Team Germany's red Honda rig to await the arrival of 24-year-old motocross star Ken Roczen. It's opening day at the 72nd annual Motocross of Nations, a prestigious race known as the Olympics of motocross, and as the leaves on the eastern redbuds shift from the emerald of summer to the translucent gold of fall, race teams and fans from Austria to Venezuela overflow the hotels and campgrounds of tiny Buchanan, Michigan, turning it into the muddy center of the motocross world. Roczen's autograph line this October morning is a virtual U.N. meeting: men and women wearing red, white and blue Team USA and Team France hoodies, kids waving German flags and a trio of men dressed in kangaroo onesies with the Australian flag sewn onto the pouches. What unites them is a desire to meet Roczen, one of the most charismatic and popular riders in the sport, and more importantly the opportunity to catch a glimpse of his hands. "He's back! Team Germany is in the house!" someone shouts as Roczen emerges from his RV and walks toward the mud-stained crowd, a white plastic chain separating scrum from star. The neat line quickly dissolves into a chaotic cluster of outstretched cellphones. "Toughest man in motocross!" another man yells from the back. "Let's get this party started!" Roczen says. Six years in the U.S. has polished his German accent to a smooth SoCal timbre. He's dressed in crisp white motocross boots over black riding pants and a white-and-gray flat-brimmed Red Bull cap. His sunshine yellow Team Germany jacket extends past the wrists of new white gloves, leaving nothing exposed. Everything about his look is bright and pristine, precisely the image he wants to project. For nearly an hour, Roczen smiles and signs everything from T-shirts to posters. He's aware that fans are watching him carefully, scanning his hands for any sign of weakness. When a man reaches for a handshake, he notices that Roczen instead throws an arm around his shoulder and pulls him in for a photo. When a guy in a USA beanie asks Roczen to autograph his program, he notes that Roczen uses his right hand, even though he's left-handed. As he signs, Roczen peppers his fans with rapid-fire questions that leave no time for their inquiries. He's tired of talking about the past, tired of making promises he's not sure he can keep. He'd rather let his riding prove he's still the guy he was before two brutal crashes derailed his career. Besides, he knows the question on everyone's mind: Can Ken Roczen win again? To understand where Roczen is today, it's vital to know where he was two years ago, on the first Thursday in January, two days before the start of the 2017 Monster Energy AMA Supercross season. The top riders in the 450 class -- the big leagues of the sport -- are seated at tables in Angel Stadium for their annual season-opening media conference in Anaheim, California. To a man, they're dressed in the typical garb of an off-duty motocross pro: jeans, collared shirt littered with sponsor logos and a baseball cap fronted with an energy drink brand. And then there's Roczen. Ripping a page from the self-promo manual of Irish MMA star Conor McGregor, Roczen is wearing a custom navy-and-red plaid suit, blue paisley tie, light blue dress shirt and a Breitling watch. No hat, no logos. He'd arrived at the stadium an hour earlier driving a cherry red Acura NSX supercar, a film crew in tow. To say he's confident heading into this season ... well, he'll tell you himself. 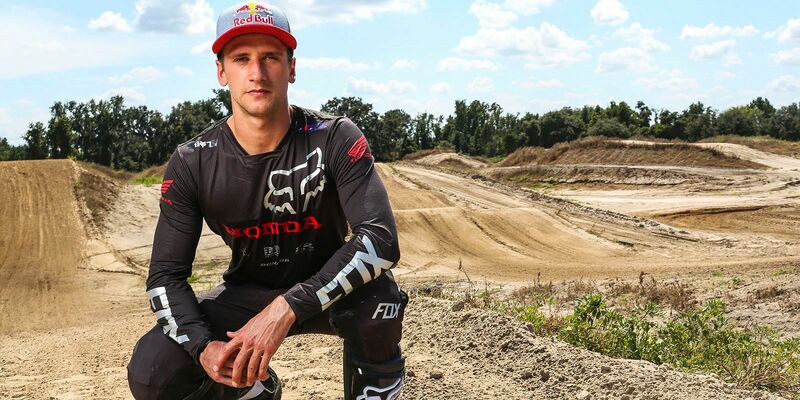 "I want to transcend the sport," Roczen says that day. "It's like McGregor says, 'If you dedicate yourself to something, you can do it.' I want to be loved, to go further than anybody ever has. When I see people wearing a [Ryan] Dungey shirt, I think, 'I will make them wear a Roczen shirt by the end of the year.'" Roczen has reason to feel like he's on top of the world as the new Supercross season begins, having recently dominated the Lucas Oil Pro Motocross outdoor series, switched to a new team and moved into a new home with his girlfriend, Courtney Savage. "Nobody had the confidence I did," Roczen says now. "I would look down the line at the start and think, 'You aren't going to beat me, or you or you.' I think they all knew it too." He easily wins the first two races, beating Dungey, a four-time champ and the reigning Supercross poster boy, by an unbelievable 16 seconds in the opening race. "I got into this mindset where it was nothing but the win for me," Roczen says. In week three, he returns to Anaheim, where the rain-soaked track is soft and rutty and conditions deteriorate overnight. "That track would reach out and bite you," Dungey says. On the ninth lap of the main event, Roczen takes a well-worn line into the takeoff of a triple jump. But his bike bottoms out, causing his rear suspension to rebound and bounce him from the seat as the bike launches into the air. For nearly two seconds, Roczen is airborne, his body outstretched behind his bike like Superman. When he realizes he's out of control, he lets go of the handlebars, separates from the bike and tries to prepare his body for impact. "But the first thing you do is put your hands out," he says. Roczen lands nearly 30 feet from the takeoff, the full weight of his body crashing onto his left arm, which crumples beneath him like an empty soda can. "I couldn't move. My arm was wobbly, and it hurt so much," Roczen says. "I went from the highest of highs to the lowest of lows. I thought, 'F---. There goes everything.'" Roczen is rushed to nearby UC Irvine Medical Center, where trauma surgeons begin assessing the damage to his left arm. His ulna and radius, the bones of the forearm, are broken through the skin, his elbow and wrist dislocated. "They took him into a room to pull his arm back into place, and you could hear him screaming throughout the hospital," says his race mechanic, Oscar Wirdeman. "It was the worst thing I've ever seen." While Roczen waits for surgery, additional scans reveal the damage to be even more extensive than originally assessed, so his girlfriend and agent charter a private plane to fly him from Orange County to Vail, Colorado, to see Dr. Randy Viola, the hand, wrist, elbow and orthopedic trauma specialist at the famed Steadman Clinic. By the time he arrives Sunday morning, Roczen has developed compartment syndrome in his forearm, meaning his injuries caused bleeding and swelling so severe that his heart can't pump enough blood to the area and his tissue is starved of oxygen. "You have six to eight hours to resupply blood before you lose the arm," Viola says. "We were fixing his arm so he could eat dinner, not so he could ride again." To save the arm from amputation, Viola and his team rush Roczen into surgery, where they fillet the tissue surrounding the muscles of his forearm to allow them to balloon and regain circulation. Roczen remembers little about the next two weeks, the six surgeries or the hospital visits from friends and family. But despite the extreme pain and painkiller haze, he recalls feeling grateful. "Court was the one taking care of me, and I valued her so much," Roczen says. "This experience made me appreciate everyone in my life." On the nights she doesn't curl up on a chair in Roczen's hospital room, Savage checks Hotel Tonight for the best deal in town, packs up her bag and their French bulldog puppy, Rio, and takes an Uber to a new hotel. During the day, the couple play cards, update friends and family and talk about where they want to travel with their future kids someday. They don't talk about motocross; they don't watch races on TV; and they unfollow the Instagram accounts of anyone associated with the sport. Having never been off his bike for more than a few weeks since his first indoor race in Germany at age 3, Roczen needs time to mourn the loss of the only life he has ever known. So he quits cold turkey. "The last thing you want to do with an injury like that is watch the other guys win," Roczen says. "I had no interest. I sheltered myself on an island." Every few days during those first two weeks, Viola wheels Roczen back into surgery to clean his wounds -- dirt from the track had been ground into his bones, joints, cartilage and muscles -- and tighten the rubber bands around his bandages as the swelling subsides. He also inserts an erector set of screws and plates to fix the extensive damage to his bones. After 2½ weeks, Roczen flies home to Florida for a week before returning to Vail for another round of surgeries. "When I opened him up for what I thought was the final surgery to fix his elbow, my heart sank," Viola says. "His radial head was sand. There was nothing to fix." Instead of replacing the missing bone with a metal prosthetic, Viola closes the incision and places Roczen on the transplant list for a living cadaveric radial head, a progressive idea that could save his career but will extend his recovery time indefinitely as he waits for a donor. "The careers of a lot of the best motocross racers ended with a scaphoid or wrist or elbow injury," Wirdeman says. "Ten years ago, Ken would have been done." At the end of February, Roczen returns home to Florida 25 pounds lighter and with an external fixator attached to his arm, a metal device that holds his bones in place while they heal. Savage flies home with a diamond ring on her left hand. On the morning of Feb. 17, a few hours before one of his surgeries, Roczen popped the question over mint tea at a coffee shop in the Vail village. "I knew for a while that we were going to be together for a long time," Roczen says. "All of this confirmed it for me, and I wanted to propose in Vail. It's a positive place for us. I called her dad from the hospital and got his blessing." As Roczen waits for a donor, his parents visit from Germany. His mother has traveled the world to support him, but Steffi Roczen has never watched her son race. Even as he sprinted through the European ranks, becoming the youngest rider to win a motocross Grand Prix at the age of 15, and the first German-born winner in Supercross history after moving to the U.S. at 17, "Mutti" watched from the rig. The prospect of seeing her only son crash was too terrifying. Before she arrives in Florida, Roczen tries to prepare her for his current state. "The first time I saw him, I was crying, straightaway," Steffi says. "He was so skinny and gray. I thought, 'That's not your son anymore.' I gave him a hug and didn't want to let him go from my arms." Roczen also worried that his father, Heiko Klepka, or "Papa" to everyone in the motocross industry, would be disappointed and angry -- with him, with the bike, with his team, with the world. "My dad is very old-school German. He's stubborn and tough, but he made me tough too, held me to a different standard," Roczen says. "When he got here, it was emotional. But it was also some of the best times we've had. With me and him, it was always only about racing. That was the first time in my life I was at home and could do something other than work out and go to the track." Instead, he and his family cook dinners, watch movies and take Rio for walks. In April, two months after Roczen left the clinic, he returns to Vail for surgery No. 12. The donor piece is a perfect fit. As he heals at home, Roczen spends six figures on a live-in physical therapist to work with him twice a day. "At first, it wasn't about racing," Roczen says. "I'm left-handed, and I wanted to use my arm normally again. I had so much pain. I needed someone to work on it all the time." Slowly, as his strength improves, the spark returns. "Once I felt healthy and saw clearly again, something grabbed me by the balls," Roczen says. "I was laying in the grass on a blanket listening to a motivational podcast one day, and I thought, 'That's it.' I set my mind to coming back to seek and destroy." His first day back on a bike, however, he can barely hang on to the handlebars for more than a few minutes. He rides in the grass next to his practice track because the dirt is too rough, the pain too extreme. "I honestly never thought we would see Ken race again," says Jeff Emig, a former Supercross champ and Fox Sports analyst. "I thought it was over." There are many days over the next six months when Roczen might have been the only person who believed he would line up in another start gate. "I didn't care what other people thought," Roczen says. "I was determined." Looking back, maybe he rushed his return. Maybe he should have waited until the outdoor season in May. Or maybe what happened next would have happened no matter what. Against all odds, Roczen is in Anaheim for the first Supercross race of 2018 knowing the majority of people in the stadium understand the impossibility of his return and the grueling work it took to get here. Roczen is famously open with the media, and his relationship with the public has become even more intimate since his crash, thanks to his willingness to share on social media graphic photos of his injuries, videos of his surgeries, and his innermost hopes and fears. "He received so many messages from people saying they were in their darkest times and he showed them how to keep going," Savage says. "He felt he had so much to prove." But in his first practice laps on this January afternoon, it seems the doubters will have their day. Roczen looks stiff and cautious, far from the stylish, loose rider of a year ago. He's still about 45 degrees shy of straightening his left elbow and can't move his wrist fully, not to mention the pain. It is difficult to overstate the importance of a motocross rider's hands and arms. The left hand operates the clutch; the right twists the throttle and works the front brake. Together, they anchor man to machine, providing direction and balance while adapting to constant input from the track, the bike and other riders. It is not uncommon for a rider to lose position in a race simply because he's suffering from arm pump, a temporary but debilitating condition caused by overexertion. To help him hold on to the bike, Roczen adds a thicker, stickier grip to his left handlebar and begins relying on the strength of his right arm, chest and upper back to compensate. But at least it wasn't his right arm. That's the common refrain after his injury, the supposed silver lining. Because if there is a hierarchy of arms in motocross, the hand that twists the throttle is the hand that rules. Despite his deficiencies, Roczen knows he's lucky to be back. To his friends, family and the media, he says all the right things: He won't let his highs get too high or his lows get too low. He realizes how much he missed being in the spotlight, walking the pits and attending team dinners, and he isn't about to jeopardize his second chance by taking unnecessary risks. He says he isn't worried about wins -- not yet, anyway -- he just wants to finish the races, stay healthy and be in the mix at the end of the season. "I just want to be smart," he said. 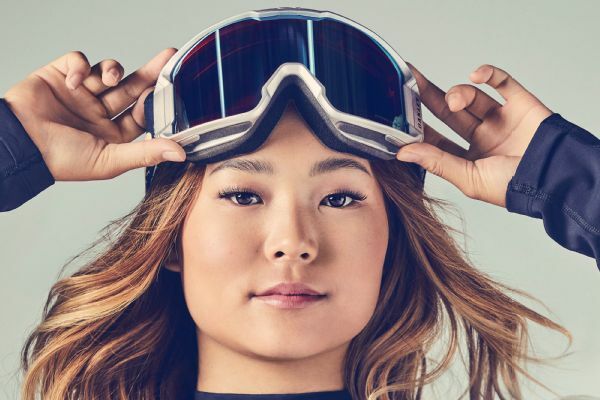 "I want to transcend the sport, to go further than anybody ever has." Then he spins the fastest lap in qualifying. "I got cold chills," says his practice mechanic, Payton Stevenson. In the main event, Roczen finishes fourth and follows his debut with three podium finishes in the next four races; he even leads for half the race in Houston. Suddenly, wins don't seem so far-fetched. He decides he's done talking about the crash altogether. He doesn't want to answer questions about his arm ever again. He even requests that race officials pull the crash from his rider intro video. "It was almost too easy in the beginning," Wirdeman says, looking back. "We were acting like he was back to 100 percent, and he wasn't. We forgot where we'd come from." In week six in San Diego, Roczen faces the toughest test of his return when Yamaha's Cooper Webb, a rider with whom he had an off-track beef, sets a block pass to overtake him for third in the main event. Roczen retaliates to regain position. But the move was about more than race tactics. It was personal. "It was stupid," Savage says. Roczen has replayed the next few seconds tirelessly in his mind, obsessing over the impossibility of what happened in the next turn. One year after the most horrific crash of his life, his back tire spins out in a rut, he leans too hard on the throttle and crashes into Webb. He falls toward Webb's Yamaha, which is lying on its side on the track, still running. In an instant, Roczen's right hand is sucked between the swing arm and spinning rear tire of Webb's bike and spit back out. His jersey is torn, his arm and back are raw with road rash, and the bones of his right hand and wrist are crushed, his ligaments and muscles torn. That, of course, was his good arm. "I was going, 'No no no no no no. Not again,'" Roczen says. "I sat on the track thinking this was probably my last race. I knew how much it took to come back from the first injury, and my left hand wasn't even 100 percent yet. I didn't know if I could do it all over again." Seven months after the second crash, Roczen and Savage are home in Clermont, Florida, eating breakfast. Savage woke up early this morning to catch the final moments of last night's full moon and tick some items off her to-do list; the wedding is five weeks away. Roczen is speaking in German to his mom via FaceTime before heading upstairs for his morning workout, which is finally approaching pre-injury intensity. The procedures to repair the damage to his right hand were, as Viola explains, "a piece of cake in comparison to the first," but still extensive. Roczen's CMC joints, which connect the metacarpals to the wrist bones, were pinned together with screws, plates and wires. The joint surface of one of his metacarpals sheared off and was floating under his skin, which required a bone graft to repair. He damaged the cartilage and nerves in his thumb, and broke a bone in the center of his hand so badly that Viola simply removed it. The emotional toll was more difficult to process. One comeback was hard enough, a second was devastating. But where some riders might have seen the second crash as a sign to throw in the towel, Roczen saw a challenge. He never complained or asked, "Why me? Why again?" He just put his head down and charged forward at full speed. "A month or so after the surgery [on his right hand], we were in Florida and I saw that thing in his eye again and I was like, he's going to do this," says Chris Onstott, director of sports marketing at Fox Racing, Roczen's sponsor since 2005. "He never waivers. He never complains. Very few guys would have come back from the left-arm injury. For him to come back from both is incredible." Remarkably, Roczen returned to the sport this past May -- just three months after his crash in San Diego -- and raced a full outdoor season. But despite wearing wrist braces and taping his right wrist and thumb, he struggled through severe pain all season, especially in his thumb. "I was so uncomfortable," he says. "Plus, I'd done five races in a year and a half and everything felt foreign. It was such an odd feeling considering I'd been racing since I was 3." This time, Roczen made good on his promise to be mindful of his limits and ride smart and steady. He finished third overall at the end of the season. "He had a completely different approach," Wirdeman says. "I wasn't in his ear at races yelling at him to get fired up. I was reminding him to be smart, be safe, let's build for next season." But Supercross is another beast altogether. 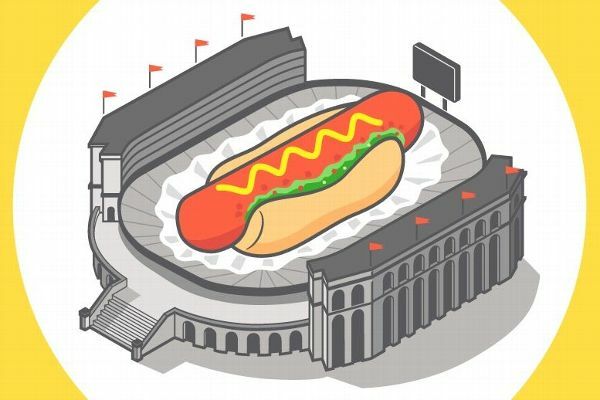 Its tracks are bigger, more technical, its stadiums fuller and louder. A 450 Supercross championship is the only title missing from Roczen's impressive résumé. When a rider makes an aggressive pass with a win on the line, how will he react? "I'm confident but calmer now," Roczen says. "I want the championship, but what good is talking about it if I don't make it through 10 percent of the season? I want to be there at the end battling for the win. I also want to enjoy some years of racing without getting hurt. I want to enjoy being with Court and our dog. Ultimately, I realize there is life after racing too." LaRocco's leap at RedBud is the most famous jump on the motocross circuit, a 130-foot uphill test of mettle. On every lap, riders have two options: hit the triple jump with the throttle pinned to clear the entire obstacle or chop the throttle to break LaRocco's into two jumps, minimizing risk. Add rain and mud to the equation, and the risk multiplies. During Saturday's rainy practice sessions at Motocross of Nations, only two of 90 riders choose to hit LaRocco's Leap: Gautier Paulin of France, the eventual winning team, and Roczen. It's a flash of the confident, loose rider of a couple of years ago. "Ken is willing to do what other riders are not," Emig says. "You don't make the decision to throw caution to the wind in practice, when the risk to reward is just not there, to prove anything to anyone but yourself. It's all about belief. Come May, that might make him Supercross champion." That's the thing about Roczen. Despite all he has been through, he's still that risk-taking rider in the custom suit. He still has the spark. And that's why, on Jan. 5, all eyes will be on No. 94 when he lines up in the start gate in Anaheim, wraps his gloved hands around the rubber grips of his handlebars and attempts to outrace his limits. Alyssa RoenigkRoenigk is a senior writer for espnW, ESPN The Magazine and ESPN.com whose assignments have taken her to six continents and caused her to commit countless acts of recklessness. (Follow @alyroe on Twitter).